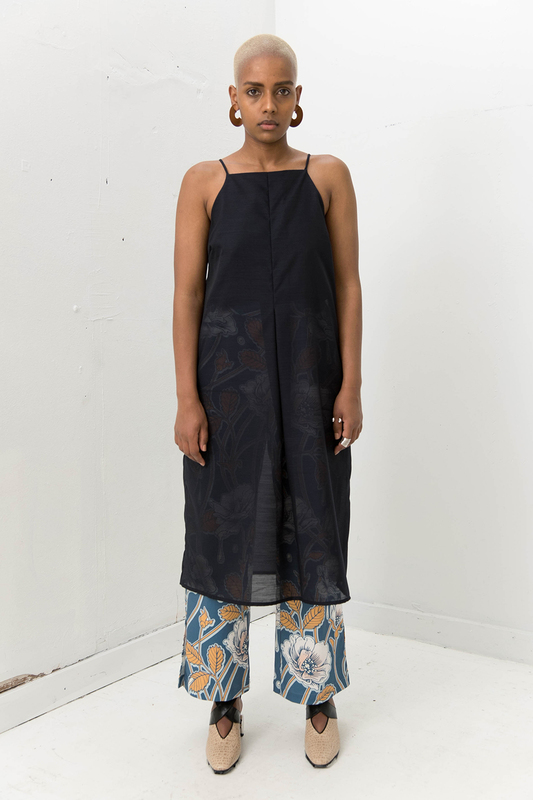 Madrona Jumpsuit in Cream or Light Blue Denim. Made by Silvae in Seattle. 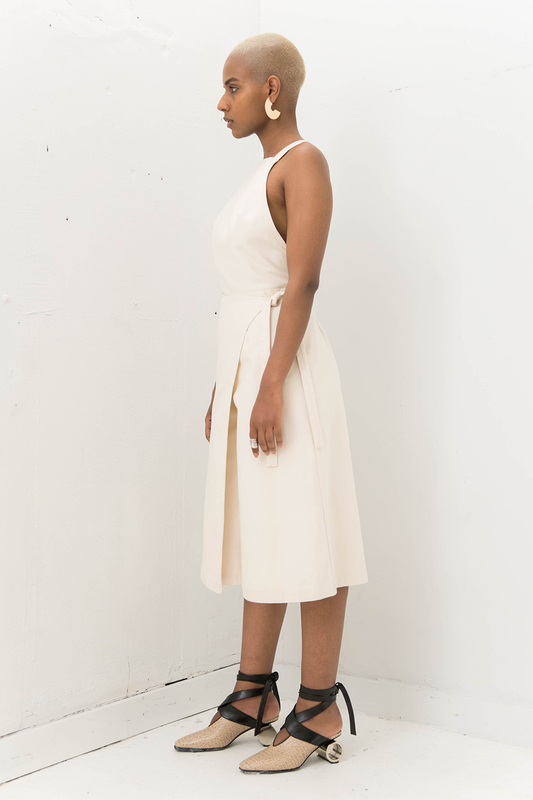 Apron jumpsuit in our cream or light blue denim with open back. 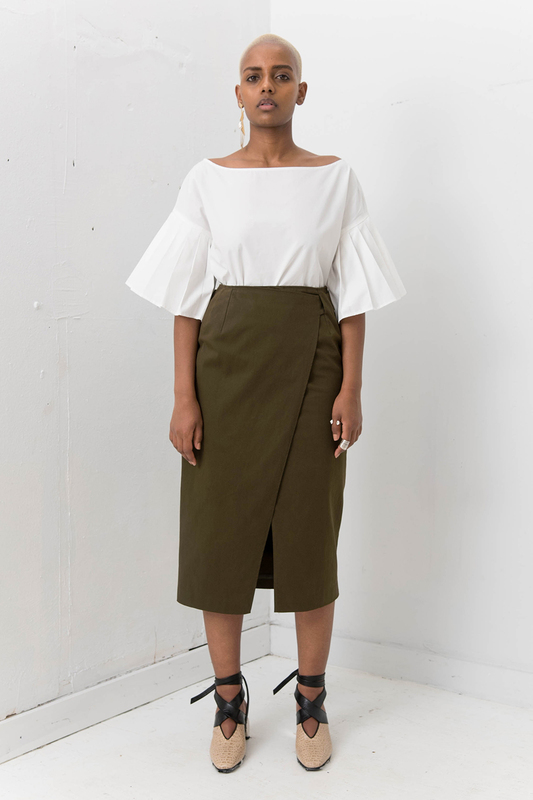 Culotte bottoms feature an overlay that joins at side seam and wraps to left waist with self fabric tie. Entry at center back waist with invisible zipper. Fits true to size. Size small measures 28″ at waist, 38″ at hip and 39″ in length. 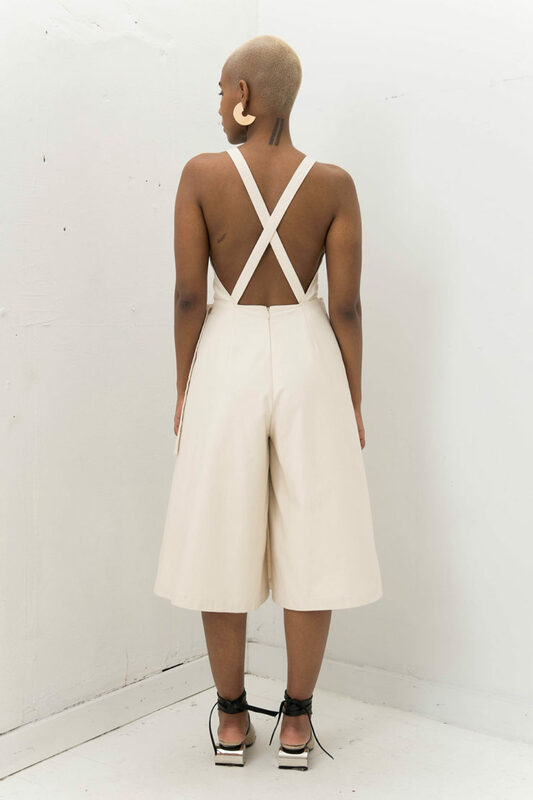 Apron jumpsuit in our cream or light blue denim with open back. 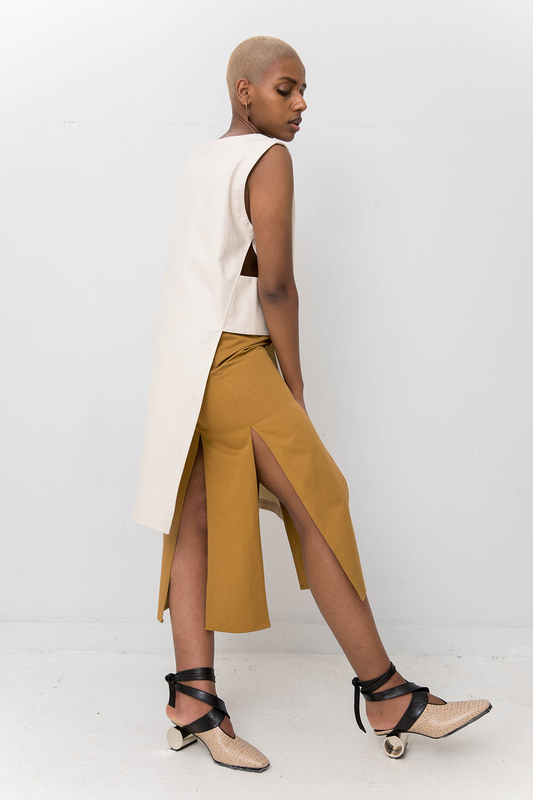 Culotte bottoms feature an overlay that joins at side seam and wraps to left waist with self fabric tie. Entry at center back waist with invisible zipper. Made by Silvae in Seattle.